First, Congratulations and Welcome Back! Your experience abroad makes you rather unique. Only about 1% of U.S. College students have studied abroad, so the skills you have learned are extremely valuable! Now that you are back in the U.S. we want to help you re-adjust to the USA, help you wrap things up, sell your international experience and stay involved with all things international. 1. Be a panelist or volunteer at a CIE’s Study Abroad & Cultural Events. 2. Be a Language Partner to an ESL student! 3. Get involved in a Student Organization. 4. 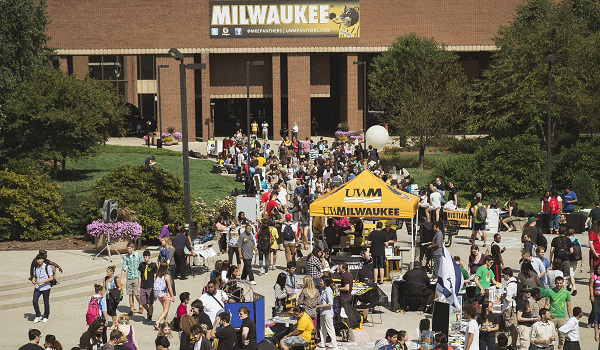 Be an Exchange Student Buddy, for more information email overseas@uwm.edu. 5. Volunteer in the community. 6. Consider international work or volunteer experiences after graduation.